There are a few things you need to know if you are to get the best out of your archery facility, such as what you need to do, how to fund it and where to find the right resources. Click on the links below to get the help you need. Welcoming and accessible spaces can have a big impact on an archer’s experience – and can increase the likelihood of coming back. Funders providing grants for facilities are probably more interested in what the new facility can do for the local community rather than specifically providing for your club. So, remember to think about the wider benefits that your project can bring, such as how many more people you can bring into the sport. It is unlikely that you will be able to apply again so take the time to get your bid right. Sport England’s Community Asset Fund is a programme dedicated to enhancing the spaces in your local community that give people the opportunity to be active. There are a number of things that they want to achieve with this funding, but most importantly they want to help local organisations to create quality and financially sustainable facilities that benefit their community for years to come –which may mean providing help to get things up and running too. While they will continue to invest in projects that retain people in sport and increase the number who are regularly taking part, they are also looking to invest in projects that look beyond this to how sport and physical activity can – and does – change lives and becomes a force for social good. Grants of up to £50,000 are available to eligible clubs. For further information visit Sport England’s website. Facility Funding for Home Nations is covered in the Handy Guide to Funding. The Handy Guide to Funding also has other funding opportunities for facilities, coaching and equipment. The guide is updated every three months. 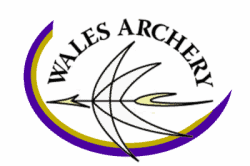 Archery GB’s Venue Planning Advice has been put together to provide clubs with some food for thought when making a long-term decision about a new or existing venue. The Development Team are also able to support clubs on these matters, and can be contacted on 01952 602795. Sport England has provided lots of information on the planning process for sports clubs, including in partnership with the Department of Communities and Local Government, publishing a new guide to planning applications aimed at sports clubs who want to improve their facilities. Visit their website if you need any advice or support – Sport England – Facility & Planning.